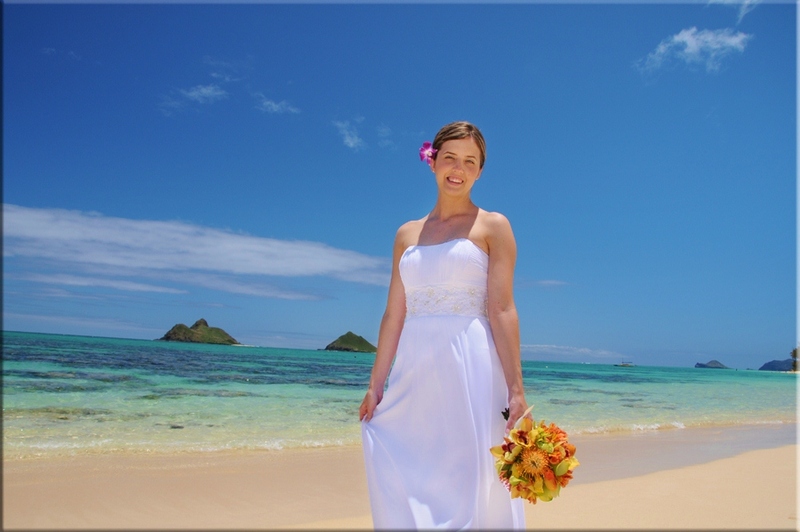 We have several Wedding Packages and locations on Oahu to suit you beginning with our very simple and affordable Waikiki Beach Wedding, our popular Kahala Wedding, and our Weddings at Ko Olina and the North Shore. We've made a wedding package that anyone can afford for only $299.00. 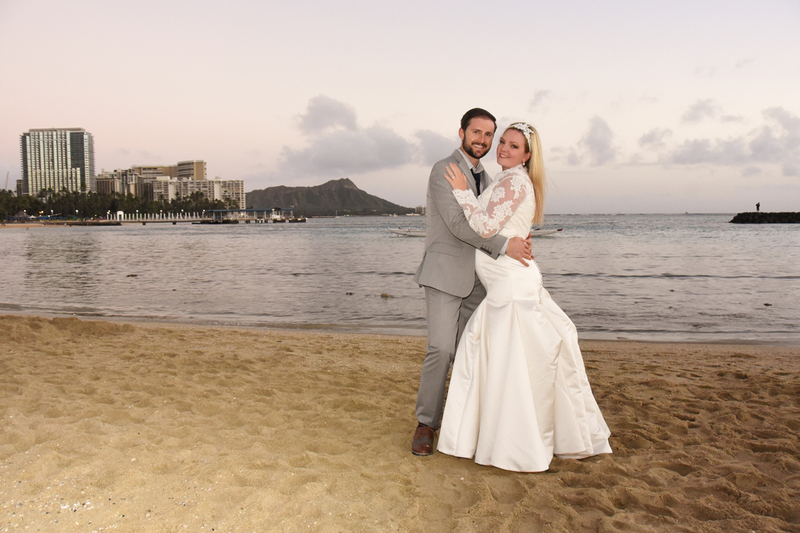 One of our friendly Ministers will perform your ceremony in Honolulu, and our Photographer will capture the memories for you to cherish with beautiful wedding photos. 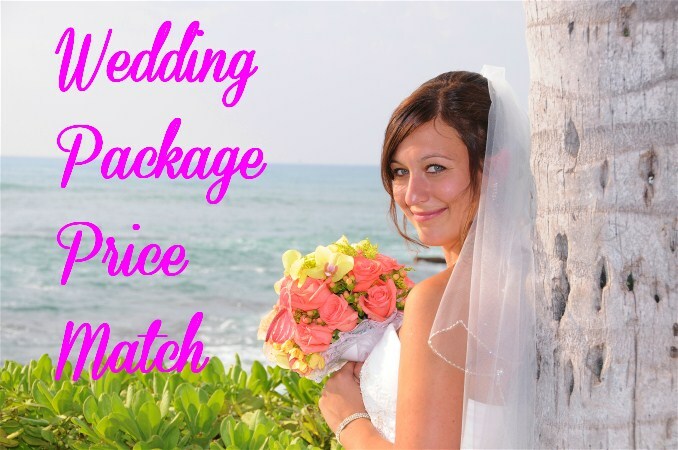 We want to make our Wedding packages affordable to you, so we will MATCH our competitor's rates if you find a lower priced Hawaii beach wedding package elsewhere. 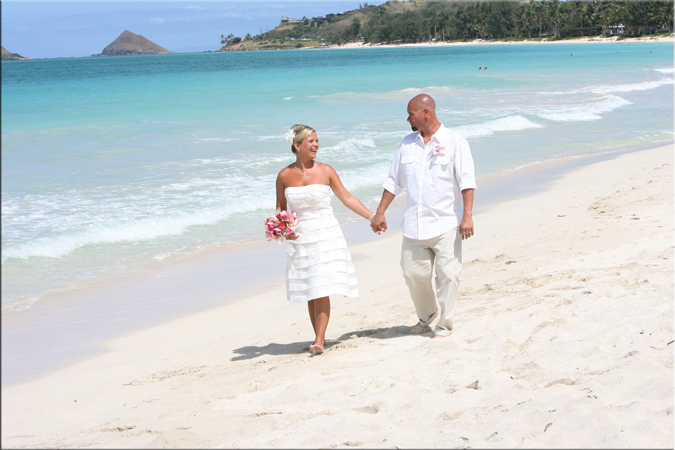 See more Hawaii Wedding packages at other beaches around the island of Oahu, including Kailua, Lanikai, and Waimanalo Beach. Florists are making rose bouquets out of paper these days. This one only costs $79.00! 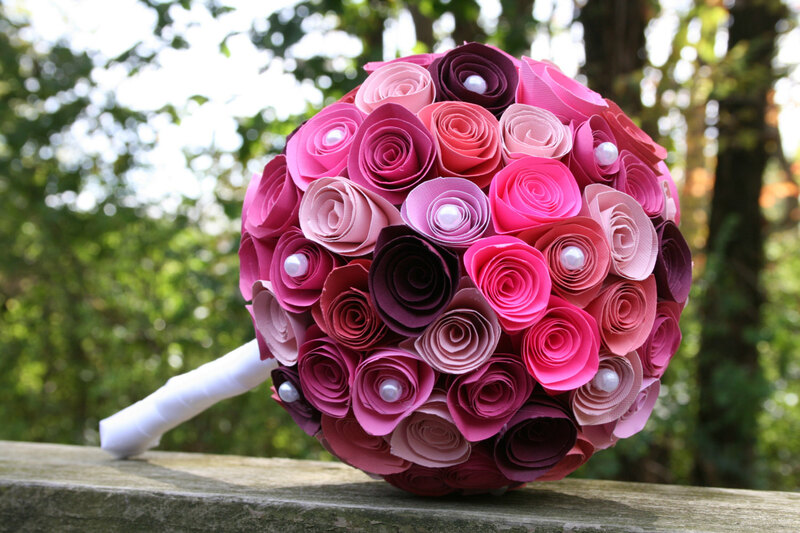 See more silk flower bridal bouquets. 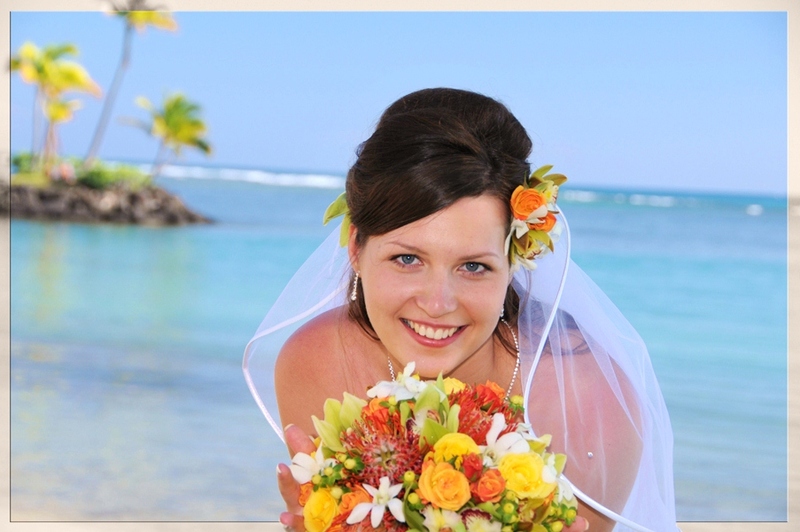 Our Hawaii Beach Wedding Packages each have slight differences in location or wedding services included in the package. Military couples please take a look at our Hawaii Military Wedding. Military Discount is already included.